With a gap in the rainfall and the Wife talking the kids to a play barn I went for a couple of hours at Wimpstone, the Stour had dropped quite a bit in the last 48 hours so perfectly fishable , the intention was to use a small feeder full of liquidised bread with cheese paste on the hook. It was a good 5 or 6 swims I tried before I had the first bite, a proper sharp pull of the tip that would have been hard to miss, a decent fight and a nice Chub was on the bank. No scales with me but was over 3lb. 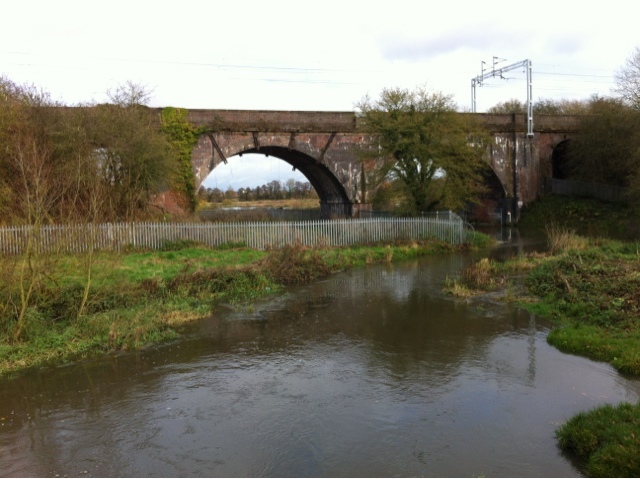 The picture below shows the swim, some slack water and some cover by the nearside bank. I stuck with cheese paste as the water was chocolate brown and with reasonable pace to the river, the bread discs probably wouldn't have stayed on the hook for long. For December it was incredibly mild, 10 Degrees :( I want it cold, the water clear and the levels down fishes so so much better. Who knows when that's going to happen though, probably February time. Bread and lobworms for me has always been the most productive and unlike cheese paste you don't know what will end up on the end of the hook. The heavens opened and I decided to call it a day, it was type of rain that gets you wet. That was the only fish and the only bite I had in a couple of hours, the fields were littered with flood water debris and the bridge showed the signs just how high the Stour had been, it's going to take time to get back to normal, and the fishing recover, after the Christmas pig out it was nice to be out though. I've got a job lot of garlic spam in the fridge in the garage and as I don't go back to work till next Wednesday I might try Snitterfield Reservoir to see if anything is biting, that or as the weather has been mild and the Avon dropping I might get the Barbel gear out and ledger some garlic spam at Hampton Lucy Brook. I'll be checking the EA webpage with the Avon levels with interest, it certainly looked like it dropped quite a bit when I drove through Stratford this morning, Lucy's Mill looked as angry as ever though, maybe it's wishful thinking. Oh and by the looks of these pictures I need to clean the lens on my camera, then again might be the stench off the maturing cheese paste causing all sorts of issues, the smell certainly has a similar effect on the wife, she hates the stuff. The Avon is over its banks and the rain hasn't stopped, what a disappointing Christmas break. At least I've got some reading material to accompany the Port & Stilton, a subscription to Coarse Angling Today and the Underwater Angling book by Paul Garner and Stuart Morgan. the plan was to have a few hours at Hampton Lucy Brook but after going to have a look at the water levels just before sunrise there was no chance, the Avon was over it's banks and proper motoring through so had to switch to plan B. Plan B was the Stour at just outside Stratford. The levels were up but perfectly fishable. The venues I fish are usually quiet, in-fact if there is another angler within sight it's unusual. Today was no exception, for a few hours I had the stretch of river to myself. The fair weather anglers of Stratford AA winter league were meant to be hogging the whole Stour stretch, but not today,a bit too much flow, slightly too cold etc. I love watching the tip and with a river like the Stour you can use a sensitive tip, the 2oz tip I use shows every bite from Minnow, Roach through to Chub, you know exactly what's going on at the hook end. After it's recent flood and the fact it was coloured, bites were hard to come by. 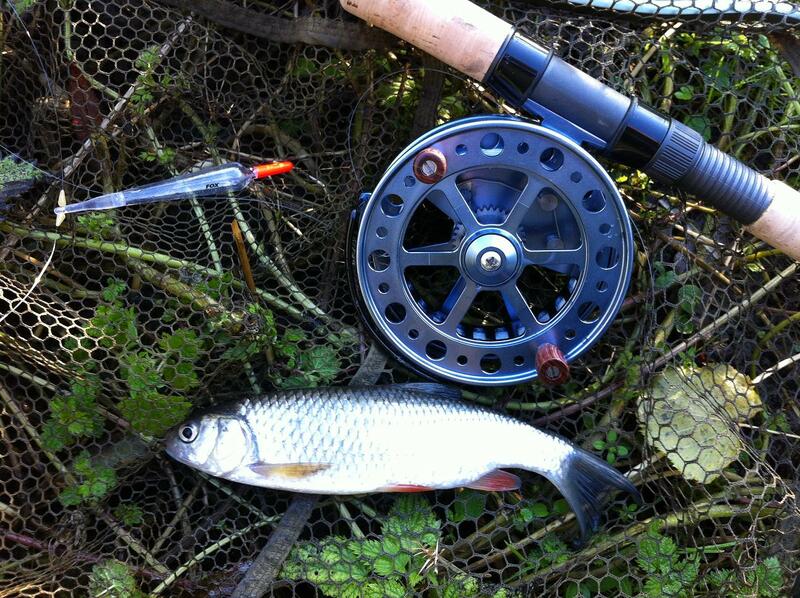 A nice Chub and some quality Roach took a liking to the bread and over 3 hours had a dozen or so fish. Be nice if the rain lets up and the water runs clear as I've always had the bigger Chub in those conditions, a 5lb'er this season still eludes me so I'm hoping to get a few sessions in over the Christmas period. 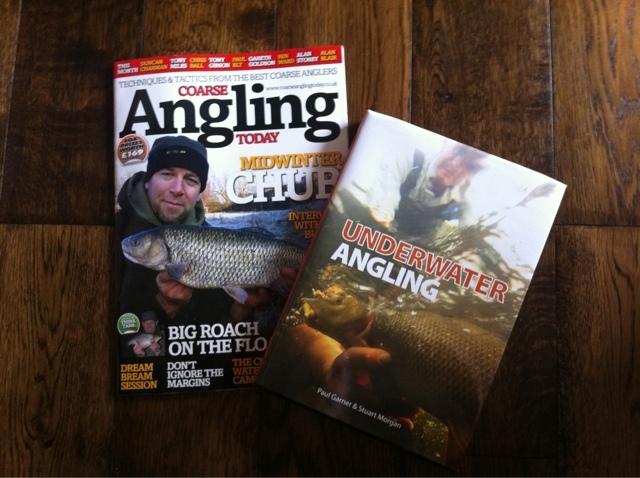 The Avon still holds the bigger Chub in my opinion so hopefully if the levels drop that's where I'll be heading. With a long weekend away in a cosy cottage in Malvern planned I had a few hours Friday morning to go fishing. The Warwickshire Stour was back to 'normal' levels after being in flood. Wimpstone was cut-off as it was over the bridge, but as quicky as the river burst it's banks, as soon as the rain stopped the levels dropped. A frosty morning, the intended quarry was a decent Chub. I liquidised some bread which was used as feed and planned to fish cheese paste or bread on the hook. The river was flowing probably a bit faster than normal and was coloured, 10 minutes in each swim without a bite I moved. The raft swim below I managed a chub of about 2lb's, it nailed a folded bread disc within seconds of it hitting the bed and gave a fantastic account of itself to and the ratchet on the centrepin makes a great bite indicator. 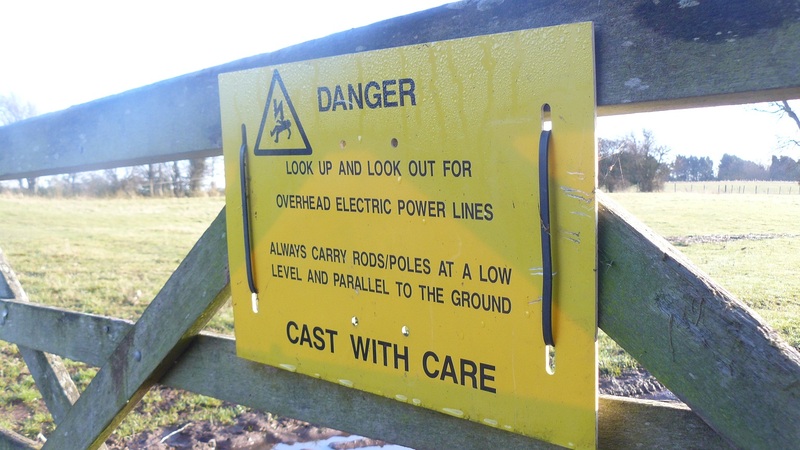 I only use a 10ft feeder rod on the Stour, it's only a small River and in most places it cannot be more than 20ft. It's a TF Gear Nantec, less than 50 quid I think but it's well finished in gloss black, very well made and ideal for the job. I missed a few bites on bread, the tip was rattling like a good'un but I didn't connect. I've been told there are some good sized Roach, so I might try a different approach next time. Maybe a helicopter maggot feeder set-up and a much smaller hook. Switching to a big lump of cheese paste in a swim which had some slack water I managed a Chub which was 3lb 14oz's. The Stour chub all seem to be mint condition, they don't seem to average anything like the Avon Chub but I've still got loads of river yet to explore so I'm hoping for something bigger in the future. With my usual haunts, the Warwickshire Stour and the Avon at serious flood levels I didn't have many options, Snitterfield Reservoir is just down the road from me but I've never done any good there when it's been cold, College pool on the other hand, the fish always seem to bite. It's a small pool that's was excavated for Gravel so it's deep, proper deep in places so don't even attempt to plumb the depth. The pool contains some of the pound for pound some of the hardest fighting carp you have ever come across, some reported Perch of well over 3lb, Barbel and some sizeable Bream. 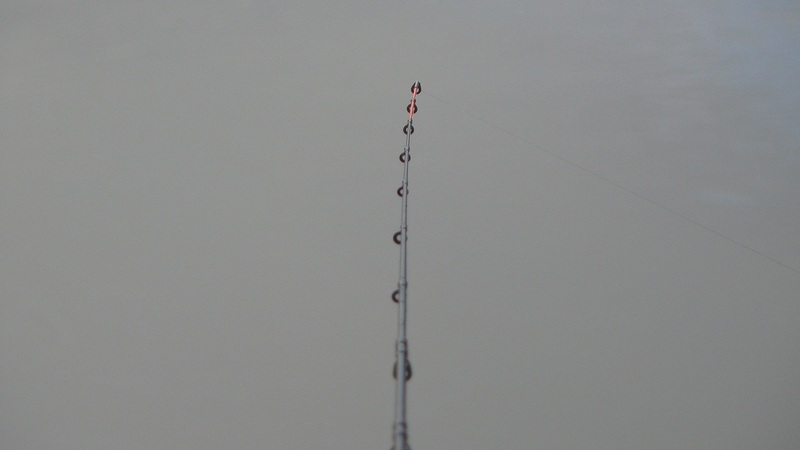 I had some worms I had to use up so I decided to target the Perch, a ledger rod set high in the air with a light bobbin and a Perch bobber fished in the margin, chopped worm and small prawns were used as feed. The wind was gusting over 20mph but I managed to find a sheltered spot at the far side of the lake where the surface was surprisingly calm. There is nothing better than seeing a float bob around and then sail under, probably the nicest way of fishing as there is not denying what's happening under the water. Bites were hard to come by but eventually the float went under and I was in to a fish, I thought it was a decent Perch as first however College Pool it could can be anything so and when the fish came to the surface I was suprised to see a Chub. It was blind in one eye but a nice looking fish all then same, you can always rely on a Chub to save the Day, one of my favorite species of fish. I caught some small Perch but nothing of size, a couple of other Anglers near the car park end were sat behind their rod pods and bit alarms targeting the carp but never had a touch when I left 3 hours after I arrived. I've said before this place is a credit to Leamington Anglers association, probably my favorite still water. I'm sure I spotted Keith Jobling ? when leaving the village, certainly looked like him. Hmmm so with a friend currently cut-off in his Village of Honington, looks like my plan of fishing the Stour the weekend is out of the question :) levels still a long way to go too I'd suggest. 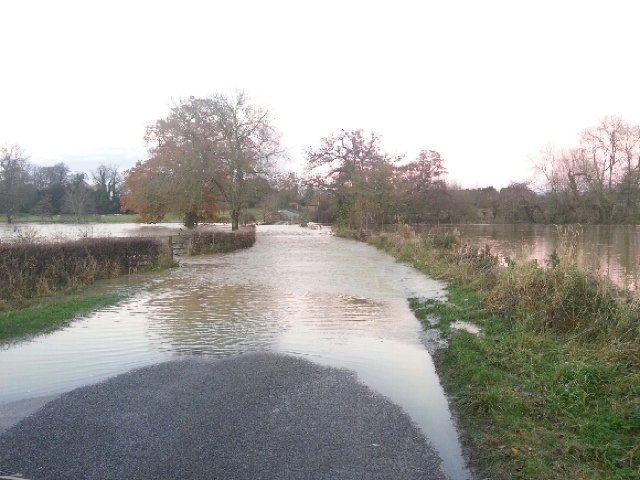 This is where Honington bridge used to be, lots of flooding near me, Henley in Arden, Wootton Wawen etc. I'm known for having a good moan and today was no exception, I think I've been spoilt in the past with Leamington Spa AA, great website, regular newsletter and quick responses to emails, Stratford-Upon-Avon AA on the other hand is complete contrast, no website and to date I've had few emails not answered and phone calls not returned, it is 2012 isn't it ?. 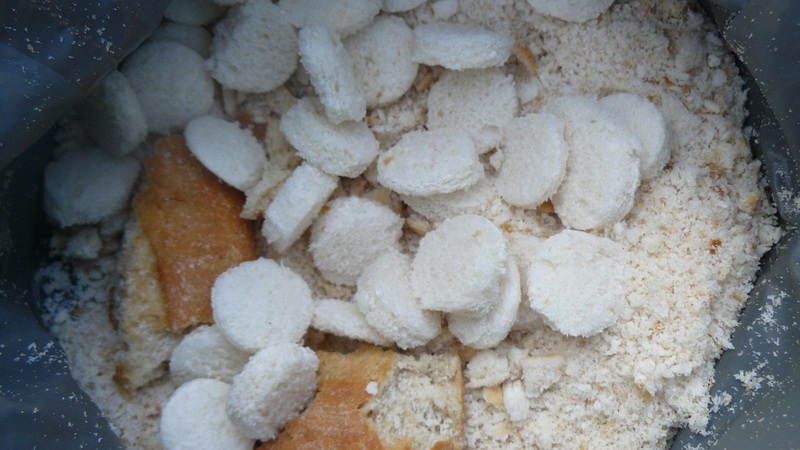 I got to Wimpstone at 7.00am, a lovely white blanket over the fields and a dry fresh morning, I planned to walk the full stretch to Preston and had some bread discs ( Jeff Hatt Style ) and my homemade smelly cheese paste to target the Chub. Within half an hour after feeding some swims with some liquidised bread I had a long lean Chub on the bank which took a liking to a folded 30mm disc. 3.5 / 4lb or so. Before moving to another swim I noticed some other anglers walking across the meadow, hmmm obviously a match on. Twice now I've fished the Stour where there was meant to be a match on but was cancelled on the day as it didn't suit the match anglers, I'm not a fair weather fisherman and fish all weathers and conditions. This morning there was a decent frost and the match anglers would be sat on their backsides nailed to one spot for 5 hours I was suprised to see them, anyway I got speaking to the Chairman's Son and was given the option of fishing further downstream, oh well at least I had the option, from what I could see though, only 5 anglers, a match ? >200 yards apart ?. Problem for me is Sunday is about the best day I can go fishing and it kinda limits my options somewhat. I was also told it was a bit of a clique, I've not really experienced that, and those members that I have met have been nice enough. One of my moans was reference to Hampton Lucy Brook, I fear they may lose that stretch, I know from speaking to the farmer as I was leaving once he isn't happy, I remove litter when I see it and it seems that it's becoming a problem, not something the club can do, that's understandable but the 'official' car park is now no longer usable for members, apparently to deter poachers they have replaced the combination lock on the gate with a key lock, all very well but many members will be put off as they haven't a secure parking option. The more members they have there the better as it sort of self Polices itself, I've got the Chairman's mobile number now, I might give him a ring to see if I can help out in any way. Apparently they do manage the banks and swims but in the Summer I had to battle the way through 6ft stingers to get to a few swims so maybe I can get permission to take my strimmer down. I live 10 minutes away, some of the committee live in Birmingham, not ideal. Some nice pics taken on the Iphone but sadly no more fish landed, I managed to miss two belting bites on big lumps of Cheese paste and a jack pike broke me off when he took a liking to a lobworm. Meant to be some good Roach here up to 2lb so might scale my tackle down a tad and try and target them. A lovely stretch of water and I'll be back, well on a Saturday from now on. 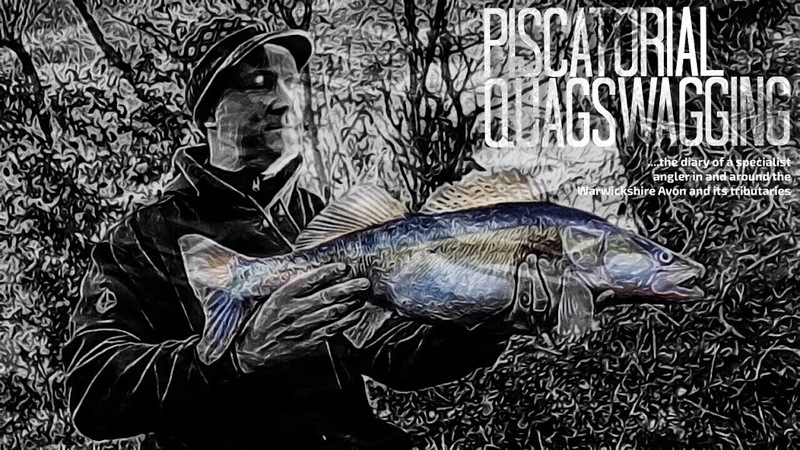 I've also been given some excellent tips about some of the pegs and the fish that reside there so with my new found knowledge I'll be putting that in to action. I went to the classic car show today at the NEC and upon returning to the train station car park at Hampton in Arden I went for a nose at a free stretch of the Blythe from information I received from a fellow blogger Bazal. A nice wild look to it but still quite industrial looking, a worm will be dangled here in the near future, I like trying new venues and this looks like it has potential. A wide variety of fish apparently, even Trout, oh and the dreaded American crayfish. Its cold overnight so I'm off to the Warwickshire Stour to target the Chub. -1 when I left the house at 6.45am, I've got a handy carport so no need to scrape ice of the car but the Wife still thinks I'm mad. I'm geared up for it though, Beany hat, Korum undersuit, ESP Hoody and neck warmer, I've also got some thick Sealskinz socks which work well in my wellies or walking boots, oh and some Craghoppers lined waterproof trousers. Even when static I'm warm enough, when your cold, fishing starts to become unpleasant and I'm always toasty. Another glorious sunrise over Warwickshire and I'm in my Perch banker swim, I've my centrepin set-up with a small float and a quiver rod set-up with a link ledger. The plan was to alternate between rods. Now this snaggy swim has been brilliant in the past, and as soon as a lobworm entered the water within a few seconds it has always been evident that the Perch were there. Not today though, a biteless hour, the Perch had vanished. The river was up, flowing at a fair pace, the water was freezing and coloured. I tried trotting with the centrepin but the float I had already set-up and the floats I had with me were too small really, the line was peeling off the reel brilliantly but the float was being dragged under far too easily. I took to the new reel really well I thought, even found the casting to be ok, it's slow on the retrieve but then there isn't a gear system which makes the difference. With rod, a landing net and some worms I decided to try some of the slack areas of the river, areas of security and piece away from the main flow. Glad I decided to change my tactics as within a few minutes of dropping the lobworm into the first swim the float went under and I was into a small Chublet. The centrepin was no longer a fish virgin. I noticed the reel didn't feel right on the rod and closer inspection the screws that attached the main body of the reel to the rod seat attachment were starting to work themselves loose, an easy fix with some threadlock, but not something I expected on a new reel. A simple fix so I wasn't too bothered about it but it meant as I didn't want to lose the screws I removed the reel for safe keeping so I could fix it as home. I still caught quite a few small Chublets though, the biggest around a 1lb. I went back to the Perch banker swim to see if I could get anything on the quivver set-up but apart from a few knocks, no takers. I enjoyed using the centrepin, shame no decent fish but I could get in to this style of fishing. And will have it's first outing Sunday morning. Thanks to Roger from Peregrine Rods, I'm very pleased indeed. 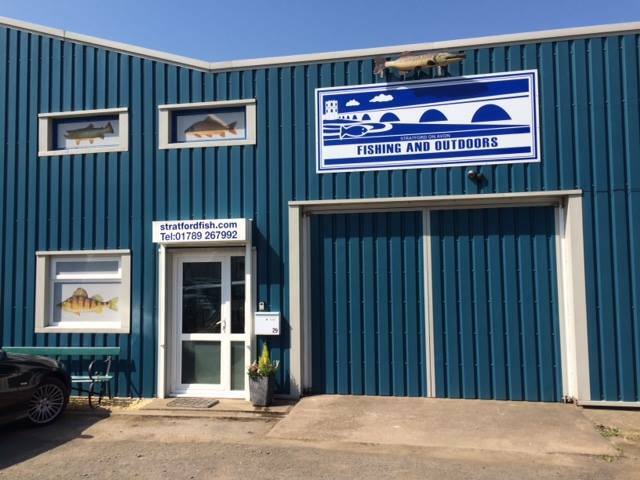 I had planned to fish a maggot feeder and a boilie for the chance of an Autumn Barbel but a trip to Stuarts Angling in Stratford-Upon-Avon Saturday morning I found the shop closed, the post was mounting up through the letterbox, hmmm not good. I know the owner has health problems, I hope all is ok. Without maggots I decided to go to my Perch banker swim at the Brook and also take a lure rod to investigate the weir. The Avon had dropped 1m since last week and it was clear too. No other angler is sight I had the whole river stretch to explore. One of the smaller Perch I was bringing it was snapped up by a Pike that looked about 8lb or so, with Polarised sunglasses on and the clear water I could see the ordeal the Perch was going through. The Pike must have seen me and also felt the resistance of the rod as it unlatched itself and I the Perch survived to see another day. Come winter time I might bring by Pike gear out to see what I can catch, an enjoyable few hours, in great surroundings and no one else in sight. Bit of an impulse buy I suppose but after landing my first fish on a centrepin last year I've bought myself a Marco Cortesi Mk2, It's my 40th next weekend so I've also treated myself to a custom rod built by Peregrine rods, it's going to be their Paul4 design built from a Harrison GTi blank but with a few tweaks. I know it's a budget centrepin but the reviews and those that have used it have nothing but praise, so for an introduction to centre pin fishing it's hard to beat. Being a novice I'm looking forward to the challenge and the rewards of catching a big fish on the pin. I've been of action for a week due to a bad cold and stomach bug, it's gone through our house like wildfire, I even missed one of the regular Shanghai matches. Feeling much better , and with the water in the Avon up and coloured, the weather mild I went to the Brook for a morning session. I got there at dawn and was the only fisherman there all day, the mist hung around till I left and for about an hour or so I couldn't see more than about 20 yards. The water was motoring though so I fished an upstream rod under a overhanging tree with a lobworm as bait and a downstream rod in some slack water with a big piece of Garlic spam. Bites were hard to come by and the first fish was a nice Perch of just under 2lb. A lovely fat River perch that was in great condition. I caught a few more smaller Perch on worm and even a nice Roach. The downstream rod was mainly motionless in the 4 hours I fished however as I was packing up to leave the baitrunner screamed off and a fish had hooked itself, as soon as I lifted the rod and felt the fish I knew it was decent Barbel, the flow didn't help progress and with the rod bent double I was struggling to gain control, I managed to turn the fish however it was headed to the roots of a sunken tree so I had no choice but to bully it out of the snag. With the line singing and giving the tackle as much force as I dared, all of a sudden, ping, the fish was off. I thought the hooklength might have snapped at the swivel or the knotless not failed however the hook had straightened, I've never ever had that before and they are good hooks too, heavy gauge and usually up to the job. No big Barbel today sadly, a nice Perch and one sorry looking hook. The Warwickshire Stour contains some decent Chub and the setting and surroundings in many parts is hard to beat, I decided to have a reccy from Wimpstone through to Preston-on-Stour to have a look at the swims and it's potential for my winter chub fishing. As I was unloading my roving gear a Stratford-Upon-Avon Anglers Association member turned up, there was a planned match on the whole of the Stour but after the recent heavy rain, the match was going to be cancelled. The water was motoring through an chocolate brown, not ideal for a match. After a brief chat I was given some tips about where big chub have been caught and the likely swims and come winter time I'll be trying them out. The early morning mist carpetted the fields and the long grass was sodden, Autumn is mostly definitely here. I stupidly left my cheese paste in the fridge in the garage and would have been ideal today as underwater visability would have been poor and smelly baits ideal, I made some up a couple of weeks ago and should be just enough for the winter. 250g grated strong cheddar, 250g of danish blue, 400g of shortcrust pastry and with a small bit of green lipped mussel ground bait, garlic powder and some CC Moore's feedstim XP powder which I had left over, make sure the Wife is out, whack all the ingredients into a blender, need and job done, a great chub bait. With lobworms as bait and a 10ft compact feeder rod I planned to try likely chub swims and if I hadn't a bite within 5 or 10 minutes then I'd move on. You can see from the pics just how coloured the water was and it really did have some pace on it so it was difficult to keep a static bait, after a few swims without even a nibble I found a nice undercut bank with an overhanging tree and within seconds the rod tip was rattling and the first fish was caught, a small mint condition chublet, surprisingly gave a good account of himself too. As I moved downstream towards Preston-On-Stour weir I came across this swim, you cannot quite see it in the picture but there was a huge raft that must have been about 20ft in diameter. I drifted a lobworm underneath it and before the lobworm could settle the quiver wrapped round and I was in to a decent Chub, I thought I was on top of it till the last gasp lunge it made it managed to bump the hook, you don't usually get that with Chub as they have such tough mouths, once the hook is in, it stays in. Damn felt like a good fish too. I stayed in the swim but sadly no more takers. I managed another few chublets, and even this tiny one devoured a huge lobworm. 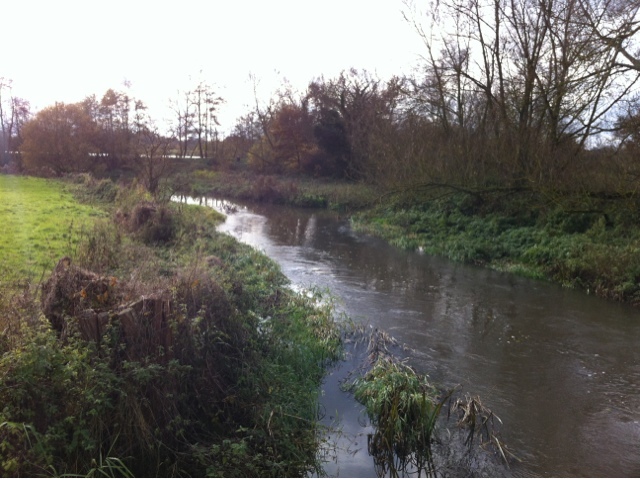 I do like this stretch of the Stour, secluded, quiet and hopefully in the winter it will produce some decent Chub for me. The Avon is still hard to beat for Chub though, so I'll probably alternate between the two rivers. I can be at this stretch within 15 minutes, I'm lucky I've got some much available water so close to home. A stunning morning over Warwickshire, pictures say a thousand words. The silhouette of Hampton Lucy church visible in the picture above. The plan for the fishing was simple, a link ledgered lobworm and some roving to see what I could catch. Some great swims at Hampton Lucy Brook, narrow sections with streamer weed and lots of cover, shallow glides and a weir. There are undercut banks and deep holes too, the depth can vary considerably. The walk from across the farmland is usually peppered with big fat black slugs, so the first one I spotted ended up on the end of the hook, natural baits are hard to beat and any bait that had for free is hard to ignore, within 5 minutes the rod tip rattled and I was in to a nice Chub, a decent fight where it was trying to get in to the undercut bank and any snag it could find it was in the net. 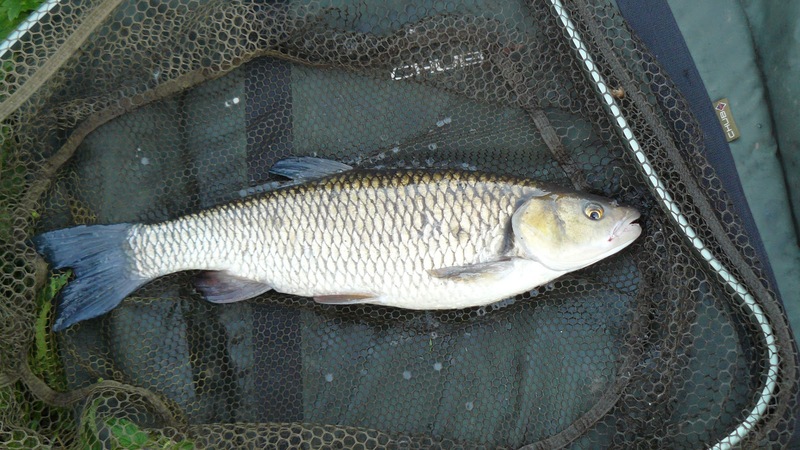 The Avon chub do seem to be fattening up and this one weighed 3lb 10oz. Two more smaller chub later the swim went dead and I decided to move. The next few swims I couldn't get past the smaller Perch, nothing really of size but plenty of them, the biggest was just under 1 lb. I tried to re-use the lobworms as much as I could but they managed to get through 20 of them in under an hour. Back to a slug as hook bait I couldn't temp another chub but a decent mornings fishing all the same. 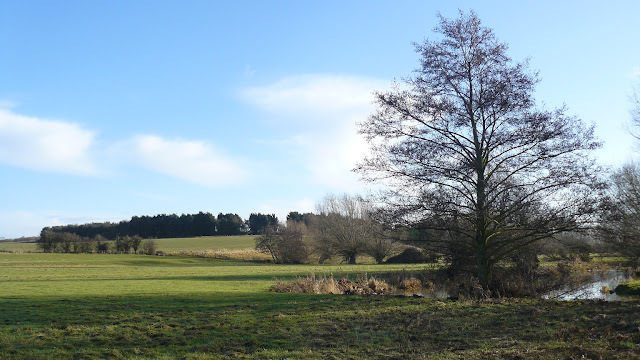 Next weekend I'll give the Warwickshire Stour a go or even the Leam at Offchurch. Hampton Lucy Brook is so handy for me, it's hard to ignore.